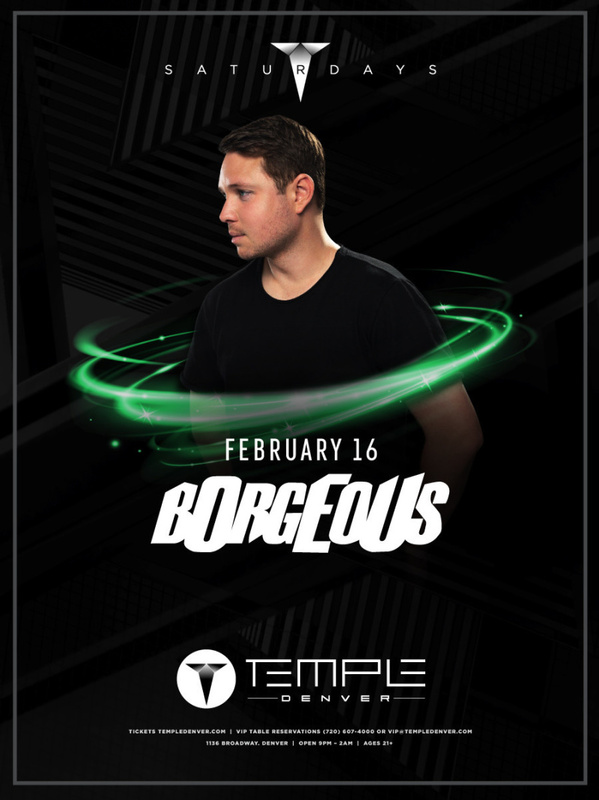 Since he began his illustrious career, platinum-selling DJ and producer, Borgeous, has taken over the Dance music scene with chart-topping tracks and tours across the world. His track "Tsunami" received global recognition, going #1 in 15 countries and again a year later in the UK with its remix featuring Tinie Tempah. Borgeous has hit Billboard charts with tracks like "Invincible", "They Don't Know Us", "Wildfire" with Julia Michaels, "This Could Be Love" feat. Delaney Jane and Shaun Frank, and "Zero Gravity" with Lights. Borgeous' 2016 debut album, 13, reached #1 on iTunes and showcased a collection of acclaimed tracks with collaborations from Lil' Jon, Sean Paul, Loud Luxury, Fatman Scoop, Neon Hitch and more. Festivals worldwide have seen the energy of a Borgeous performance and his song "Toast" with Wiz Khalifa, Waka Flocka Flame, and DJ Whoo Kid is a crowd favorite at them. Fans around the globe have listened to Borgeous' Sirius XM radio show "House of Borgeous" every week for 4 years running. His most recent releases have also been hugely successful across all platforms, such as his remix of Marshmello and Anne-Marie's "Friends", "Make Me Yours" with Zack Martino, "Sweeter Without You", "Coffee Can Money", "Making Me Feel", "Famous" feat. Morgan St. Jean, and his latest EP, Dear Me.